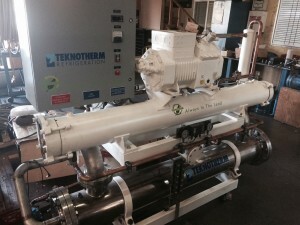 Teknotherm is once again leading the way with our Flooded Direct Expansion RSW Systems. Our new line of FX RSW systems uses an all new design with refrigerant inside the tubes, and water circulating in the shell. 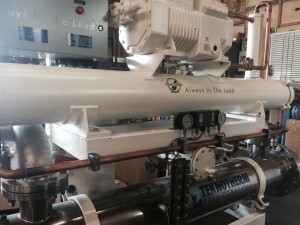 These systems perform better than standard DX chillers and use a smaller charge. This one is sold, but contact us to maximize your efficiency!